Significant Terms – 18+. New Players only. Min £10 buy-in to get £50 bonus. 24 x (Bonus) wagering reqs apply. Bonus valid for 30 days (bonus and winnings removed). Certain games excluded. Bets covering 67% or more of Roulette table don’t count to wagering. T&Cs Apply. Significant Terms – New customers only, opt-in via “Offers” tab, 18+, Ts and Cs apply, wager £10 in casino within 7 days of joining (baccarat and Blood Suckers slot excluded). £50 bonus released as £20 slots bonus (35 x wagering), £10 table games (60 x wagering), £10 live casino (60 x wagering) and £10 instant win (35 x wagering). Wagering applies to each bonus as above and must be completed within 3 days. Only debit and credit card deposits apply. Significant Terms – Minimum deposit of £10 , x45 wagering, Roulette and blackjack 50% weighting. Bonus Valid for 7 days. Not available to customers using Moneybookers/Skrill or Neteller as a payment method. 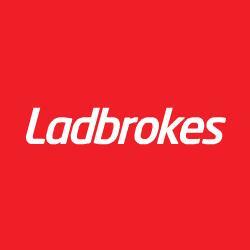 Games – Ladbrokes casino offers almost 300 games, all reliable and with genres to suit all tastes including table games and jackpot slots. Significant Terms – 18+. New Customers Only. Min £20 deposit. Max bonus £500. 20x (deposit + bonus) wagering reqs apply. Contributions to wagering reqs vary by game. Bonus valid for 30 days (bonus + winnings removed). Certain games and payment methods excluded. 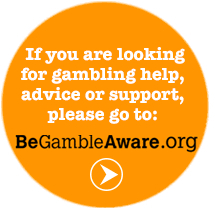 Bets covering 67% or more of Roulette table don’t count to wagering. T&C’s apply.